Scoring chances are born out of the amount of time and space given to the team with the puck. Your job as a defender is to limit that time and space, forcing your opponent to give up the puck and put your team on the offensive. That’s why gap control is an important part of the game. 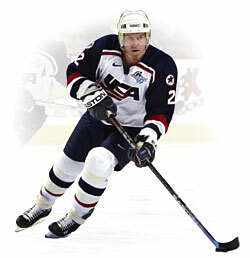 A gap is the amount of space between the puck carrier and the defensive player. Win the battle of the gaps, and you will likely win the hockey game. 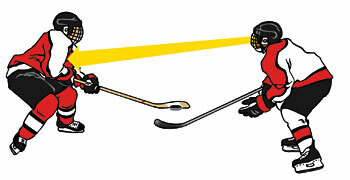 By playing a tight gap a defenseman is taking away time and space from his opponent. Doing so will allow the defenseman to dictate where he wants the offensive player to go, which is generally toward the outside of the rink and away from a prime scoring area. Too often a defenseman will play a loose gap out of respect for an opponent’s speed and skill, and for fear of getting beat. If that’s the case, the offensive player is generally going to take the middle of the ice and have a better angle to shoot on net. You may not get beat physically, but your opponent is going to get a good scoring opportunity. It’s important to know whether your opponent is a left-handed or right-handed shot, and if he is playing the off-wing or his strong side. 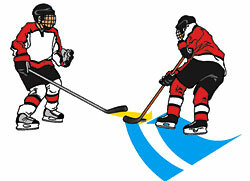 If the puck carrier is on his strong side, you may be able to give a little more of a gap because he has to expose the puck by bringing it in front of you as he cuts toward the middle of the ice, which may allow you the opportunity to poke the puck away. If the forward is on his off-wing and you play too loose a gap, he can cut to the middle of the ice while protecting the puck with his body. That’s why you need to play a tighter gap in these situations. Always remember to play the body, not the puck. 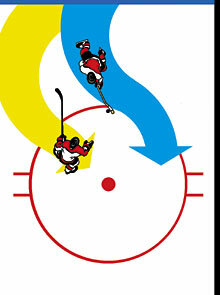 As the puck carrier is skating toward you, watch his chest and play stick on stick to contest the shot or pass. It’s important to work on maintaining tight gaps, especially in practice and in early-season games. Don’t be afraid of getting beat. You want to dictate the play, not your opposition.